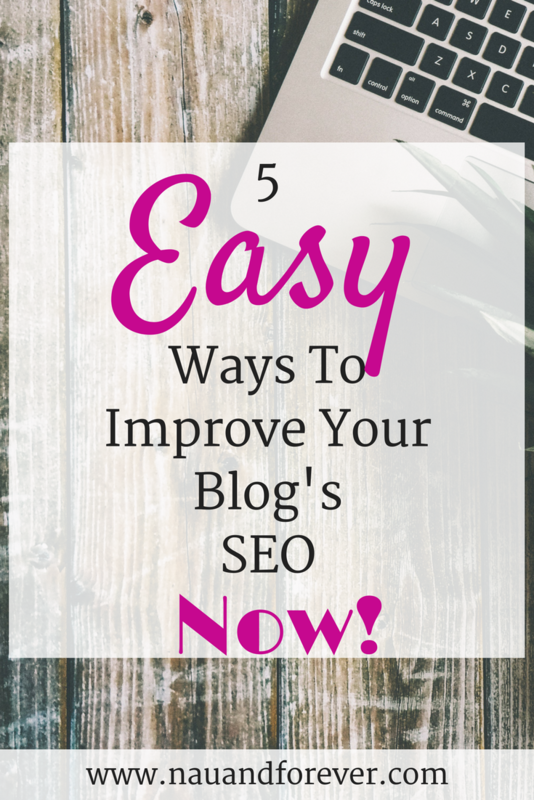 5 Easy Ways To Improve Your Blog’s SEO Now! SEO can be a huge hurdle in your blogging career. When I began blogging, I had no clue what the heck SEO was. I don’t even think I had heard of it until I had been blogging for a few months. Let me tell you that it is kind of a big deal. Did you know that most people never look past the second page on a search engine? Seriously. If you aren’t on the first couple of pages, it’s doubtful that anyone will find you. How do you get a better SEO? 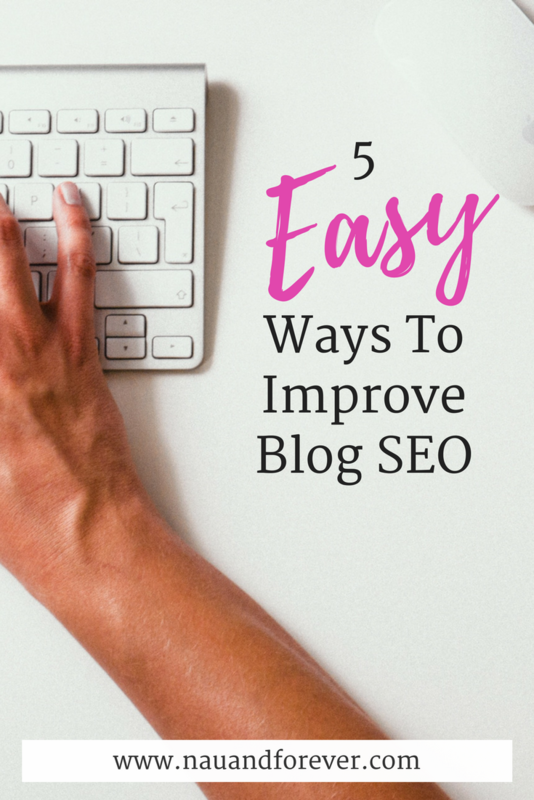 Here are 5 easy ways to improve your Blog SEO now! Keywords are important to your post. They make it possible for people to find you via search engines. Make sure your keyword is in your title and URL. Also be sure to use it frequently throughout your post (example: 3-5 times for a 500 word article). Install Yoast SEO on your blog. I use the free version. Aim to get a green light. It will provide you with advice on how to improve your post prior to hitting ‘publish’. You can easily improve your readability by making a few simple changes. Adding headers (H2 and H3 are great), and bullets where appropriate. Don’t use large paragraphs because most people prefer smaller ones. Keep your paragraphs shorter. All of these tips will improve the flow of your post making it easier to scan and read because, let’s be honest, lots of people scan before they read. Just like with SEO, you should aim for the green light with readability too. Again, you can see advice on improving your readability. People love images, so add them accordingly. 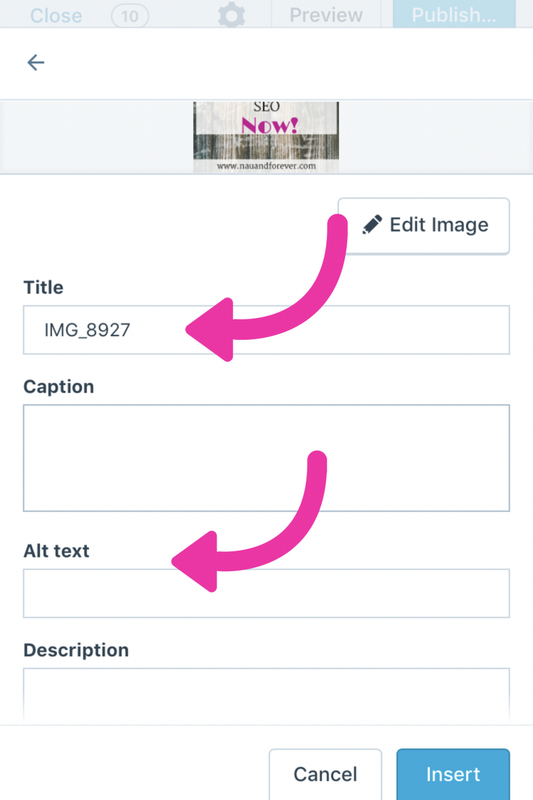 When you add an image you will see a place to add a title and alt title. You want to name the images with the title of your post, so replace the “IMG_123”. This allows search engines to find your images. The meta description is the snippet that shows up in a Google search to let readers know what your post is about. Use this to pull your reader in and let them know why they need to click on the link and read your post. Ready to Improve Your Blog’s SEO? These are 5 easy ways to improve your blog’s SEO now. Start implementing them right away. I have been going back to older posts and making these changes and I recommend you do the same. Here’s to ranking and being friends with the popular kid! Are you a new blogger? Be sure to check out my Resources page for my up to date favorite blogging tools! These are all really great tips. Improving SEO is one of my top goals for the next few months on my site! Thank you for sharing. You are welcome Mary! I hope this helps!